ActiveX is a broad term that generally refers to a Microsoft binary standard for sharing code and data between separate programs or “components”. The actual protocol is specified by the Component Object Model (COM). COM has undergone many upgrades and enhancements since its original introduction as Object Linking and Embedding (OLE). One important feature of COM is Automation. Automation allows a “client” program to control a “server” or component program just as if the component functionality was built into the client. 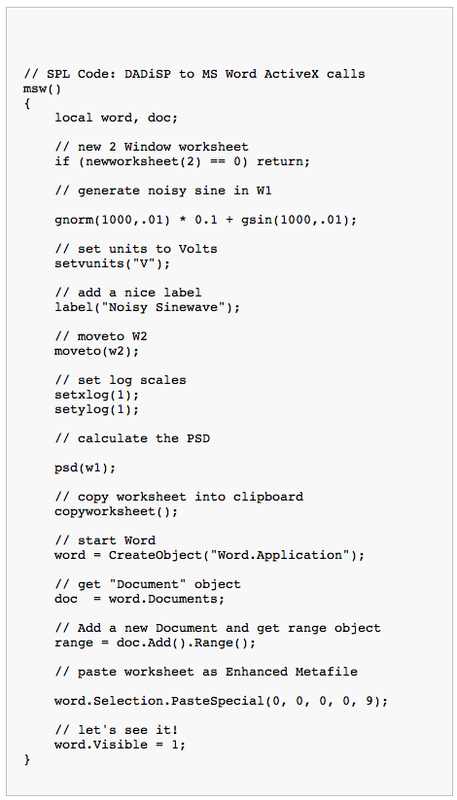 For example, DADiSP can fully control Microsoft Word, placing a DADiSP Worksheet into a document and printing the results all from within DADiSP. Likewise, a Visual Basic program can hand off data to DADiSP for processing without DADiSP ever being visible to the user. 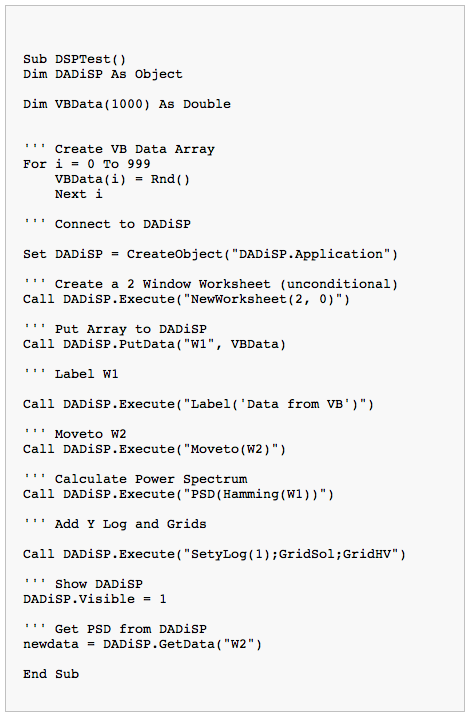 In this way, DADiSP acts as a powerful data analysis library for any program that supports Automation. 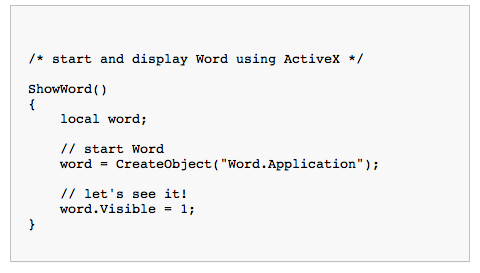 In this example, Visual Basic acts as the “client” and DADiSP the ActiveX “server”. Here’s a code fragment that generates a Visual Basic array and then transfers the array to DADiSP. Now for a full example of ActiveX with Visual Basic controlling DADiSP. We’ll use each of the above methods to 1) create data in VB, 2) transfer it to DADiSP, 3) use DADiSP to process the data and 4) retrieve the processed result from DADiSP. 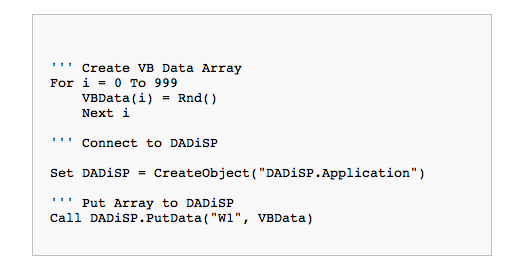 So far, we’ve shown examples of controlling DADiSP from Visual Basic. In this case, Visual Basic is the “client” and DADiSP acts as the ActiveX “server”. However, DADiSP can also function as an ActiveX client to control and make use of the features of ActiveX servers such as Excel, Word, database programs or data acquisition drivers.